The New Testament church was no accident or after thought. It was planned according to “the eternal purpose of God. (Eph. 3:11) Following the creation of the world, Jehovah was many centuries developing plans looking toward the church. A physical nation—the Jews —must first be born, and the drama of their history enacted to picture the higher, spiritual Israel—the church—the chosen people of God. It was necessary for Moses to lead the people of God from Egypt, through the Red Sea, and thence to the Promised Land to picture the Christ, “the prophet like unto Moses,’ who would lead the people of God from sin to the reality of heaven. Animal sacrifices must be offered to portray the sacrifice of Jesus on Calvary, and the prophetic bard must in vivid imagery paint the matchless picture of the coming reign of the Messiah over his kingdom—the church. Since the church must be purchased with the blood of Christ, it would be necessary for the Christ to suffer, and on the third day be raised from the dead. (Acts 20:28) Thus, through many centuries the divine plan was unfolding. How significant the thought that the major events of Old Testament history were eventually to converge in the church! Essentially the church is a body of saved people. It is generally understood that the word comes from the Greek word, ekklesia, which means “the called out. When the gospel, God’s power to save, was preached to the lost, and they heard it, believed it and obeyed it; by this means they were saved. The same thing that saved them added them to the church. By the gospel of God they were called, and by their obedience to its commands, they were saved and simultaneously added to the church. 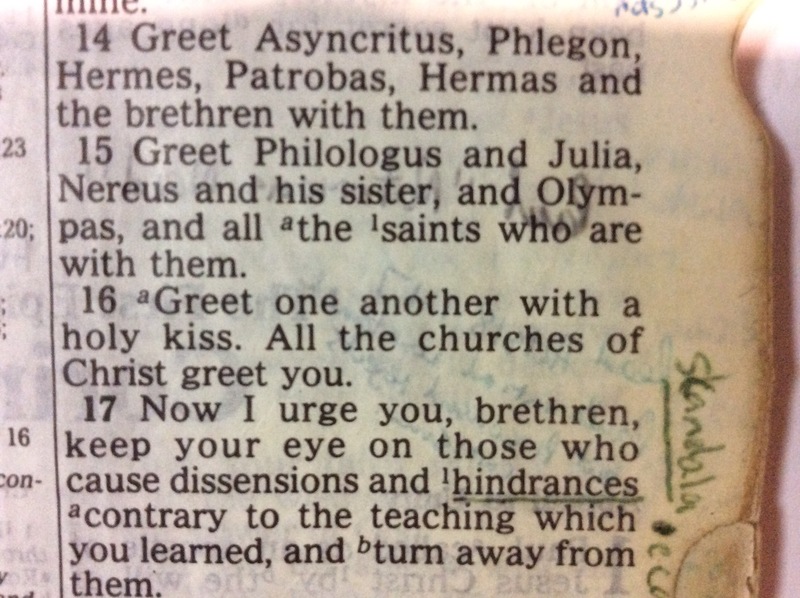 (Acts 2:42-47) This being true, it may be clearly seen that “joining the church” was unknown to New Testament times. Equally unknown is the now popular belief that one could be saved, and not belong to the church. The church was the saved. and to speak of one’s being saved outside the church is to display a gross misconception of the inherent nature of the church. Seven hundred years before Christ was born, there lived an inspired prophet of Judah named Isaiah. God enabled him to tell his people of the coming of the church. Using language familiar to his day and rich in imagery, the prophet predicted the church. Although he spoke seven centuries before Jesus, the prophet’s words state four basic facts about the church: (1) The time of the establishment —”the latter days;’ (2) The place of the establishment—Zion; (3) The scope it would embrace—all nations; and (4) The purpose of the church—”teach us of his ways. Each of these demands a more thorough analysis. Isaiah predicted the establishment of the church to occur in the “last days’ or the “latter days. When were these days? The prophet Joel predicted the great event of the baptism of the Holy Spirit upon Christ’s chosen twelve apostles in these words: “And it shall be in the last days; saith God, I will pour forth of my Spirit upon all flesh; and your sons and your daughters shall prophesy, and your young men shall see visions. And your old men shall dream dreams; Yea and on my servants and on my handmaidens in those days will I pour forth of my Spirit; and they shall prophesy.” (Joel 2:28) With reference then to this event, Joel prophesied that it would occur in the “last days. It is significant that on the day of Pentecost, (Acts 2) Peter quoted this prophecy, and added, “This is that which hath been spoken through the prophet. Joel,” (Acts 2:16) Nothing can be gained by inquiring when the “last days’ began and when they will end. One thing can be established as certain: the day of Pentecost, A. D. 33, as recorded in Acts 2, was in the last days. It is upon that day that the student of the Bible finds that the Lord established his church. Any church founded before Pentecost or after Pentecost is not the New Testament Church. Roman Catholicism, the result of the great apostasy predicted by Paul (2 Thes. 2), is not the New Testament Church. The many Protestant denominations, although founded by wise and good men, have been born too late to be the New Testament Church. Concerning Zion, the psalmist sang, “Glorious things are spoken of thee, 0 city of God.” (Psalms 87:3) Jerusalem was built upon four great mountains, the largest and best known of which is Mt. Zion. The Jews, therefore, used the term, Zion interchangeably with the word for Jerusalem. Hence, when the prophet speaks of the establishment of the church on the Day of Pentecost, he identifies the place as Zion, or Jerusalem. Here is another identifying mark of the New Testament Church. It had its genesis in the city of Jerusalem, “the city of the great King. Any church established in any other city than Jerusalem is not the New Testament Church. Any church born in Rome, or England, or Germany, or Scotland, or America —any such church cannot be the church of Christ. The commission to the chosen of Christ was to be, “Go into all the world and preach the gospel to the whole creation. (Mark 16:15, 16) In Christ Jesus, there is no male or female, bond or free, Jew or Gentile. All are one in him. God’s means of saving souls is through the word. Hence, the teaching of the word of God is the instrument of God in the eternal redemption of the human race. By being taught the word men are drawn to Christ. (John 6:44, 45) The commission of the Saviour to his disciples was, “Go, teach all nations . . . ‘ (Matt. 28:19) The duty of the Lord’s Church is to sound forth the word of God to the lost that the unsaved might be saved. The church is the “pillar and ground of the truth. (1 Tim. 3:15) The church upholds the truth to the sinful world. It is this gospel that must be preached and proclaimed by the Lord’s church that is the power of God unto salvation. The word of the Lord is, moreover, the means of God to build up the individual Christian in the most holy faith. “As newborn babes desire the sincere milk of the word that we may grow thereby. (1 Peter 2:1) It is the word of God’s grace that builds the individual spiritually. (Acts 20:32) By this word he grows into the fullness of the stature of Christ. It is little wonder that the prophet, seeing the distant days when the church should be the instrument of God to teach the word of God to the world, should say, “And many peoples shall go and say, Come ye, and let us go up to the mountain of Jehovah, to the house of the God of Jacob; and he will teach us of his ways, and we will walk in his paths; for out of Zion shall go forth the law and the word of Jehovah from Jerusalem. The New Testament Church is a divine institution with Christ as its only Head. It was purchased by the blood of the Son of God. Christ is its sole Owner. It is therefore his church. (Matt. 16:18) (The Gospel Guardian, June 14, 1951). Islam is conquering Europe. And what’s happening here? It is impossible now to deny that the Europe whose foundations were laid on the Christian mandate of the Golden Rule is in its death throes. 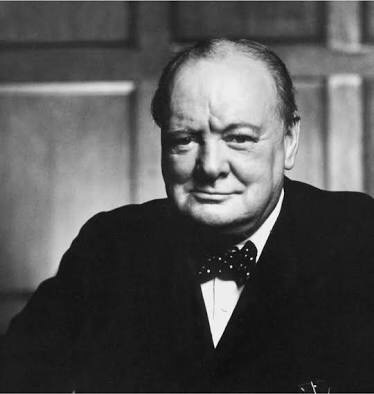 The civilisation it built, with its belief in the importance and uniqueness of the individual; of the importance of conscience; and the imperative to treat our neighbours as we would wish to be treated ourselves is being overtaken by a resurgence of Islamic fundamentalism. Rudyard Kipling called the cult the “thuggee cult” for what is now very evident for all the world to see. Anyway, click the link and see if you don’t agree. 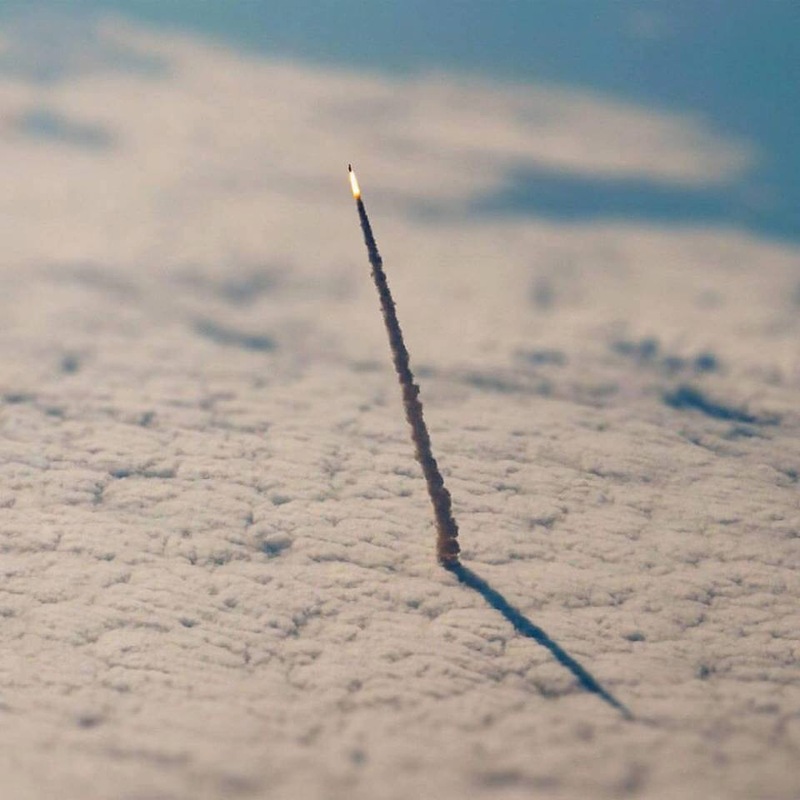 A rocket breaks through the clouds as viewed from space. A new study by NASA suggests that rather than raise the temperature of the earth, burning fossil fuels might actually be lowering temperatures. It flies in the face of all the alarmism out there and, once again, flies completely in the face of the phony “settled science” narrative. Major theories about what causes temperatures to rise have been thrown into doubt after NASA found the Earth has cooled in areas of heavy industrialization where more trees have been lost and more fossil fuel burning takes place. Environmentalists have long argued the burning of fossil fuels in power stations and for other uses is responsible for global warming and predicted temperature increases because of the high levels of carbon dioxide produced – which causes the global greenhouse effect. While the findings did not dispute the effects of carbon dioxide on global warming, they found aerosols – also given off by burning fossil fuels – actually cool the local environment, at least temporarily. The research was carried out to see if current climate change models for calculating future temperatures were taking into account all factors and were accurate. “Both values are projected global mean surface temperature changes in response to doubled atmospheric carbon dioxide concentrations but on different timescales. The spokesman said it was “well known” that aerosols such as those emitted in volcanic eruptions and power stations, act to cool Earth, at least temporarily, by reflecting solar radiation away from the planet. Kate Marvel, a climatologist at GISS and the paper’s lead author, said the results showed the “complexity” of estimating future global temperatures. Honestly, what this study is proof of is the fact that the “scientists” and politicians who continue to push man-made climate change hysteria don’t know much of anything about anything. They continually manipulate data, ignore data that doesn’t fit the narrative, and fill in all the gaps with blind guesses that simply fit the pre-determined outcome. And for some reason, we keep entrusting these people (who can’t seem to correctly predict much of anything) with the power to determine how we run our economies, how we regulate people’s liberty, and how we redistribute wealth globally.